What localities are covered by Linville-Central Rescue Squad? All of Avery County, North Carolina,and surrounding communities on a mutual-aid basis as requested by the authority having jurisdiction. What services does LCRS provide? We provide emergency rescue services to Avery County. Together with local fire departments, we respond to medical and traumatic injuries as first responders and to assist Avery County EMS personnel. We also provide backup ambulance resources as requested by the county, and provide standby emergency personnel at public events. What specific types of incidents do you usually respond to? A few of our most frequent incidents involve motor vehicle collisions, emergency medical calls, searches for lost, missing, or overdue persons, mountain rope rescue and evacuations, carry-outs, farm and machinery accidents, drownings and water rescues, and disaster response. We also provide support to fire departments and law enforcement agencies. We are dispatched only through Avery County Emergency Communications. Call 911 for any emergency. For non-emergencies, please see our Contact Us page. No, there is never any charge for our services. We are a volunteer, non-profit, organization. We meet at 7pm on the first monday of every month at LCRS Station 1, 1940 Linville Falls HIghway (Hwy 221), Linville, NC, adjacent to the Land Harbor development. See our Join Us page for further information. Our meetings are open to the public, and you are welcome to attend. Please come by and meet your neighbors! What level of pre-hospital emergency care to you provide? The level of emergency care provided is determined by the level of certification of the individuals staffing an ambulance. Squad members have three years from joining the squad to achieve a minimum level of Emergency Medical Technician - Basic, or basic life support. 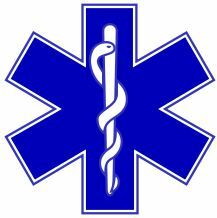 Many members practice at the level of EMT-Intermediate and EMT-Paramedic (Advanced Life Support). What other certifications do your members hold? Most of our members are either certified Rescue Technicians or Technical Rescuers ("technical rescuer" is the newer designation) by the NC Office of State Fire Marshal. 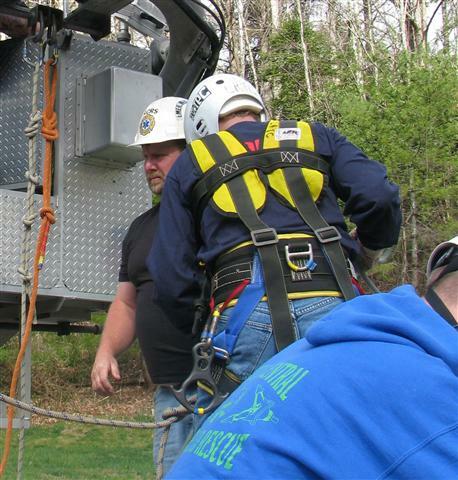 Many members also hold various certifications in vehicle and machinery rescue, HazMat operations, high-angle rope rescue, trench rescue,dive and swiftwater rescue, and other specialty areas. Several members have SARTECH certifications from the National Association for Search and Rescue in search operations. A few of our members are highly recognized state rescue instructors. What is the relationship between the rescue squad and Avery County fire departments? We work closely with the fire departments on many calls, particularly at motor vehicle collisions, medical calls, and searches. We also provide support assistance to fire departments as needed at fires. Many individuals are members of both the rescue squad and a fire department. However, the training and certifications required for rescue and fire are different. The rescue squad also maintains specialized equipment for extrication, high angle rescue, water rescue, and for search and rescue. Do you respond outside of Avery County? We respond outside of Avery County only by mutual-aid request from another authority having jurisdiction. We especially work closely with Watauga, Caldwell, Mitchell, and Burke counties in incidents near our county lines or along the Blue Ridge Parkway. Our Search Dog teams have worked searches throughout North Carolina and surrounding states, as well as for NC State Parks, the National Park Service, NC Emergency Management, and many law enforcement agencies. Is it true that Linville-Central has Search and Rescue K9s? Yes, while most rescue squads and fire departments cannot sustain specialized search and rescue dog teams, or SAR K9s, we currently have six experienced teams. They are fully operational in K9 tracking, air scent, area search, and cadaver detection. Several of our teams have extensive experience in working hundreds of searches for lost or missing children, hikers, hunters, Alzheimer's patients, despondents, drownings, and others in need. They are available on a volunteer basis to fire, rescue, law enforcement, or emergency management agencies upon request. For information, please see our Specialty Teams page. Does your squad do much wilderness search and rescue? Probably more than most. We are home to Grandfather Mountain State Park, perhaps the craggiest mountain in eastern America, where we work together with state rangers in responding to medical emergencies and mountain rescues. We host parts of the Blue Ridge Parkway, the Appalachian Trail through the Yellow Mountain area, and extensive U.S. Forest Service lands. The Wilson Creek Natural Wild and Scenic River area in south Avery County hosts thousands of wilderness adventurers every year. Sadly, we have seen several deaths at Elk River Falls, near Elk Park, by young people seeking adventure while jumping from the falls.